If you buy or sell a home you may hear talk about what real estate contingencies are in a contract. Understanding what real estate contingencies are and what bearing it may have on you is important. 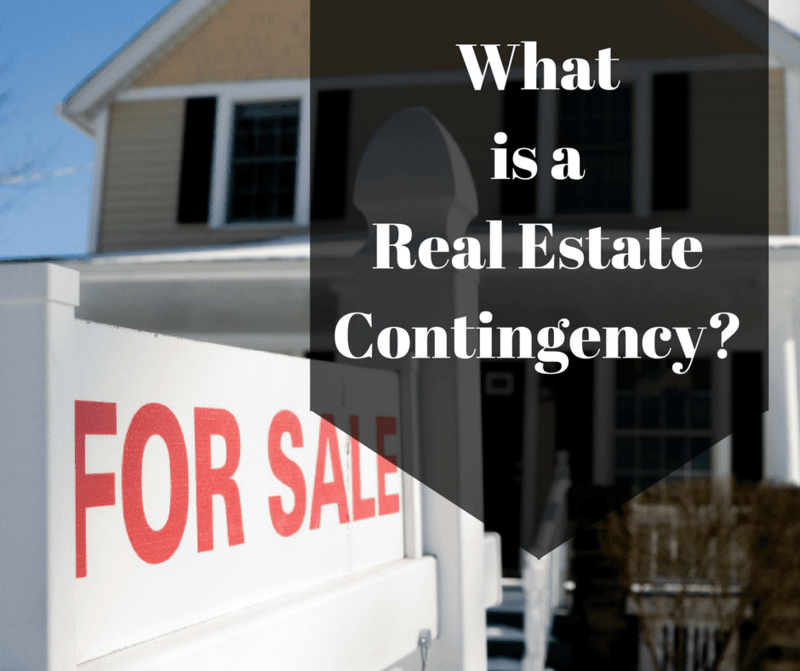 What is a Real Estate Contingency? A real estate contingency is a clause in a real estate contract where certain criteria need to be met by a certain date. If the party cannot perform by that date, they have the option to nullify the contract with no recourse. It is basically an option one party negotiates to back out of a contract if they cannot meet certain conditions. There are typically two real estate contingencies in a standard Contract to Purchase and Purchase and sale in Massachusetts. They are commonly accepted as the “norm” for a home buyer to include in a contract and widely accepted by a home seller. Bear in mind, when multiple offer are tendered, there may be buyers willing to remove these real estate contingencies and with all things being equal , this could put you at a disadvantage if you don’t. Nor for most buyer’s should you. A mortgage contingency will state that the buyer will need to obtain mortgage commitment by a certain date. It protects the home buyer from being denied a mortgage and losing their good faith deposit money. Remember a pre-approval letter from your lender is not a commitment to lend. A mortgage commitment is just that, a commitment to lend under certain conditions. by (Insert date) The BUYER shall have an obligation to act reasonably diligently to satisfy any condition within the BUYER’S control. If, despite reasonable efforts, the BUYER has been unable to obtain such written commitment the BUYER may terminate this agreement by giving written notice that is received by 5:00 p.m. on the calendar day after the date set forth above. In the event that notice has not been received, this condition is deemed waived. In the event that due notice has been received, the obligations of the parties shall cease and this agreement shall be void; and all monies deposited by the BUYER shall be returned. In no event shall the BUYER be deemed to have used reasonable efforts to obtain financing unless the BUYER has submitted one application by and acted reasonably promptly in providing additional information requested by the mortgage lender. agreement, so they may do their due diligence on the condition of the property. If the property is not to the buyers satisfaction they can back out of the deal and have all deposit monies returned. to obtain inspection(s) of the Premises or any aspect thereof, including, but not limited to, home, pest, radon,lead paint, septic/sewer, water quality, and water drainage by consultant(s) regularly in the business of conducting said inspections, of BUYER’S own choosing, and at BUYER’S sole cost within (X) days after SELLER’S acceptance of this agreement. If the results are not satisfactory to BUYER, in BUYER’S sole discretion, BUYER shall have the right to give written notice received by the SELLER or SELLER’S agent by 5:00 p.m. on the calendar day after the date set forth above, terminating this agreement. Upon receipt of such notice this agreement shall be void and all monies deposited by the BUYER shall be returned. Failure to provide timely notice of termination shall constitute a waiver. In the event that the BUYER does not exercise the right to have such inspection(s) or to so terminate, the SELLER and the listing broker are each released from claims relating to the condition of the Premises that the BUYER or the BUYER’S consultants could reasonably have discovered. While these are standard clauses, make sure you read them carefully and have a full understanding. The clauses can vary from contract to contract. We discussed two real estate contingencies that are standard in most contracts. But, almost anything can be a contingency. I have seen or written contracts with contingencies for verification of funds, funds being sent from another country, pet approval at a condominium, an offer letter for a job…. You name it and someone has probably seen a contingency around it. One of the more common buyer contingencies you can see is a “house to sell contingency”. A house to sell contingency states the buyer has a certain amount of time to get their home under contract and closed by a certain date. This is used when a buyer has a house and needs the funds to close on their new home. As a listing agent I usually want to see the house is already under contract and just needs to close before I advise my seller client to accept such a contingency. If your house isn’t even on the market, good luck trying to get any seller to accept a house to sell contingency. The most common seller contingency is a “find suitable housing contingency”. This allows the seller to get their current house under contract and gives them to time to find a new house and get that home under contract. Timing a move from one house to another can be difficult and this prevents a home seller from selling their house out from underneath them, with no place to go. Another, less common one, you might see involves an estate property with a probate contingency. This allows the heirs of an estate a certain amount of time to get permission from the probate courts to sell the estate property. It is not as common as a find suitable housing contingency but it is one you could run into as a home buyer. We talked about the “standard contingencies” that are widely accepted as the norm, as well as other contingencies you might run into that aren’t necessarily accepted as the norm, like a house to sell contingency or a find suitable housing contingency. Using a contingency other than a mortgage or home inspection contingency needs to be carefully considered. I tell my home buyers and sellers what their options are with contingencies and to think if they really need the contingency. A contingency may cost you money and possibly prevent you from selling a home for the price you want or buying the home you want. Yes, I did just say that! Think about it, if you put a contingency in a contract you are adding a layer of risk of not closing for the other party. Usually, but not always, that contingency will cost you. With greater risk there is greater reward. You will probably pay a little bit more for the house or have to give a little bit more off to entice the other party to wait to see if they can close. Also, there is a risk a buyer or seller does not even want to bother with the contingency at all and will not accept an offer from you with a contingency…. at any price. So again, knowing this, I ask my client do you really need the contingency? Many times you a buyer or seller needs the contingency while others can make alternative arrangements. Most but not all seller contingencies are disclosed up front in the Multiple Listing Service so you know up front whether you want to get involved. Contingencies can be so varied and every deal is so different. Each contingencies need to be reviewed on a case to case basis. Review the contingency with your real estate agent. Discuss if the contingency is reasonable for current real estate conditions and your particular situation. For example in a hot sellers market, you don’t usually need to even consider offers with a house to sell contingency but if you are in a buyer’s market you may have to consider an offer with one. Alternatively, if you are a buyer in a hot seller’s market, good luck with a house to sell contingency, but if the market is a buyers market you get to dictate the terms. Keep your time lines tight. Don’t give 90 days for contingencies, keep them at 30 days with an agreement that if both parties agree they can extend the contingency. Unfortunately, probate is a different story than a house to sell contingency or a find suitable housing contingency, as the courts only move as fast as the courts move. Also make sure the other party keeps you updated of their progress. Are they motivated to deliver on the contingency? Has a court date been set for probate? Is the seller out looking aggressively? How many showings has the buyer had on their house? Be informed, have your agent do their due diligence and understand the impact the contingency will have on your sale. Be informed what do you mean…. well if a buyer presents a house to sell contingency and their house is under agreement or going under agreement I will ask to see all the paperwork involved… pre-approval, contracts, deposit monies, etc…. On a positive note, if you decide to get involved in a contract with a contingency, as real estate agents we put deals together with contingencies all the time. Remember, the other party is usually very motivated to make it happen and are usually proactive. In the all the years I have been an agent, there are certainly contingencies in a contract that have been rejected but the ones that have been accepted, I have only had one fall thru and not close. Remember real estate contracts are legal and binding. I spells out the roles of home buyers and sellers with specific dates. Times is of the essence and dates are critical. It is important that you carefully read any contract and understand terms and deadlines. It also a wise idea to have a any contracts reviewed by an attorney. Anita Clark- How Does A Contingency Home Sale Work? 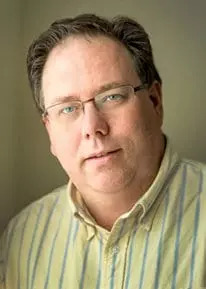 Understanding Real Estate Contingencies- What Are They And When to Use One was written by Kevin Vitali of EXIT Group One Real has a strong marketing plan that will get your house sold or the experience to help a home buyer through the home buying process. Want to discuss your upcoming move call me at 978-360-0422. Home for Sale in Reading MA- Closed!